Lupita Amondi Nyong'o, a.k.a. Lupita Nyong'o, is a Mexican-Kenyan born actress based in the United States. She is best known for her Oscar-winning role Patsey in 2013 film 12 Years a Slave alongside Michael Fassbender, Brad Pitt, and many others. Despite being her second appearance on the big screen, the actress gained a lot of applause for the work as she was nominated for numerous awards like BAFTA Award, Golden Globe Award, etc. Born on 1st March 1983, the 34-year-old is the first Kenyan actress and the first Mexican to win the award. Some other TV shows and films in which she has appeared are Shug, The Jungle Book, Queen of Katwe and many others. Moreover, she also appeared in 2018 Marvel film Black Panther as Nakia with Chadwick Boseman, Michael B Jordan, Danai Gurira and others. At the moment, there have been many questions about her relationship status, and here we are going to share some information about her relationship status and her past affairs. 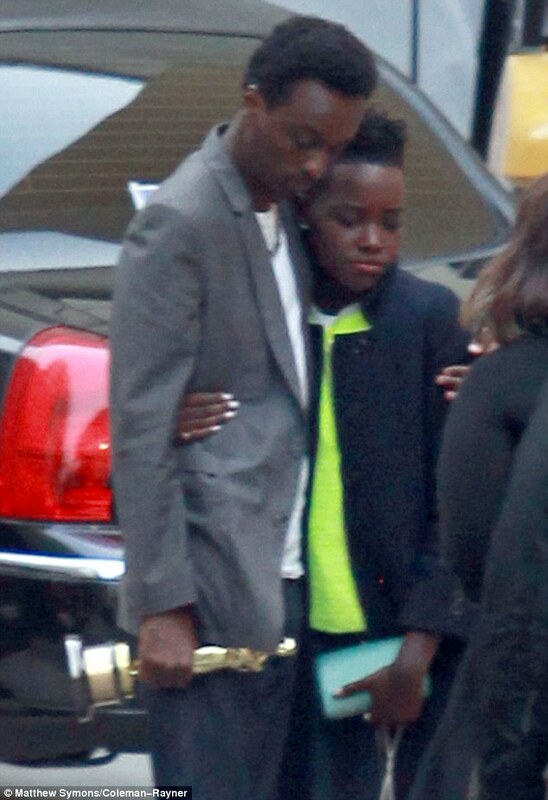 Is Lupita Nyong'o single? Or is she dating? Named one of Africa's most powerful young women, Lupita is currently single. However, there have been many speculations about the actress dating her Black Panther co-star Michale B Jordan. The duo appeared as a couple in their superhit film Black Panther, and it seems their onscreen romance has come true in the real life as well. After the release of the movie, they have appeared together at numerous events and interviews and they indeed seem like a couple. The internet seems to be digging the duo's life as they seem to be an ultimate couple. During an interview, they also revealed that Jordan lost a bet to Lupita and then on, he had to do push-up whenever she asked to. Later on in an interview, she made him do so, while he was about to answer about their relationship. Somethings actually smells very fishy here. Nonetheless, the couple has been spotted together at New York Fashion Week and many other events, and they were also seen hugging each other. Nonetheless, since the internet has already started dreaming about the couple having babies, we hope that they soon make it official. Back in 2013, Lupita was in a relationship with popular Candian musician and singer K'Naan. The couple was spotted together holding hands and hugging numerous times. However, the relationship did not last very long as they broke up just a year later in 2014. Apart from K'Naan, the actress has also been rumored to have been in a relationship with British actor Chiwetel Ejiofor, an Irish actor Michael Fassbender, and an American musician Jared Leto all between 2013 and 2014. Hopping on to recent years, as reported by Daily Mail, she was in a relationship with Mobolaji Dawodu, a GQ Style's Fashion Editor. Sources claimed that she had been dating the man for past six months and the rumor was fueled even more after Dawodu uploaded several pictures of himself with the actress. Nonetheless, there have been no reports about them dating or being in a relationship afterward. Be with us for more updates.